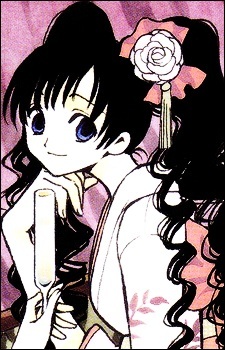 Watanuki's main love interest. He has been infatuated with Himawari ever since the beginning of the series and even some cryptic remarks from Yūko like "are you sure she's good luck?" haven't deterred him. Himawari is caring and kind towards Watanuki, but she has her own reasons in avoiding him becoming closer to her. For some reason she was born with the power to cause serious misfortune (although unintended) to those around her, an issue that even brought death to her grandmother and sometimes brought trouble to her friends.